What are the objectives of the Questionnaire ? The PROTECT Questionnaire has been developed to facilitate the process of receiving asylum seekers in accordance with the directives of the European Council. The Questionnaire facilitates the early recognition of persons having suffered traumatic experiences, e.g. victims of torture, psychological, physical or sexual violence. Asylum seekers having suffered such traumatic experiences should be referred to professionals of the Health Care System at an early stage in the asylum process in order to avoid deterioration and/or chronic manifestation of health problems and adapt reception conditions and the asylum procedure to accommodate their needs. Does the Questionnaire have a preventive aim ? Yes, the Questionnaire aims at identifying psychological suffering as early as possible to prevent the development of severe psychological disorders and related problems. What precautions should be taken to protect the asylum seeker ? To be ready to recognize the asylum seeker’s suffering so that the person feels understood and accepted. Not to question the truthfulness of his/her experience. Interviewers should be conscious that torture victims may perceive any person who holds the authority or power of making decisions that affect their life as a potential perpetrator. It is thus essential to always leave it up to the asylum seeker which questions she/he feels comfortable about answering. What precautions should be taken to protect the interviewer ? Not to go into the details of the traumatic event(s). To maintain a professional attitude and to stick to the content of the Questionnaire only. Not to assume the role of a therapist. Who should administrate the Questionnaire? Psycho-social workers, nurses, general practitioners, other health professionals, legal advisers and lawyers are considered to be in the position to provide identification and to work with the Questionnaire. Trained volunteers dealing with asylum seekers can also use the Questionnaire. Can the Questionnaire provide a diagnosis ? No, the Questionnaire can only provide an assumption of the degree of psychological vulnerability (low, medium or strong) that implies a potential need for a therapeutic treatment (when degree is medium or strong) as well as the need to adapt the reception conditions and the asylum procedure to accommodate these special needs. Can the Questionnaire be used to evaluate children? No, only adults (persons above 18). Does the Questionnaire exist in other languages ? It is then necessary to make sure that the interviewer and the asylum seeker understand the chosen language (with or without the support of a translator). The Questionnaire may be used either in the language of the receiving country and or in the language of the asylum seeker. Who is the target group of the Questionnaire ? The Questionnaire should be carried out with every adult asylum seeker unless there are clear signs of the person being in acute need of immediate assistance (mental or physical) : e.g. advanced pregnancy, mentally challenged, serious disease, etc. What if the person does not show any symptom ? The Questionnaire should still be implemented. The absence of symptoms doesn’t mean that the asylum seeker hasn’t suffered traumatic experiences. Symptoms may appear later and he/she may require further psychological, medical, legal assistance. In some cases, symptoms become apparent after only a certain period of time, e.g. after the person has recovered from the trip or from the poor reception conditions. Completing the Questionnaire with every asylum seeker also enables the collection of representative data. What are the required circumstances for the implementation of the Questionnaire ? The Questionnaire should be implemented as part of a confidential interview between the interviewer and the asylum seeker, preferably in private circumstances, with the intention to build a positive relationship. Is it possible for the asylum seeker to fill out the Questionnaire alone ? No, an interviewer must guide the asylum seeker through the Questionnaire, with or without a translator. The Questionnaire must not be given to the asylum seeker for self-administration. Is it appropriate for the interviewer to carry out a Questionnaire that touches on the person’s private life, potentially causing him/ her to relive traumatic experiences and inflicting further suffering ? The Questionnaire has been specially developed to be administered by nonmedical/ psychological staff for the early identification of asylum seekers who suffered traumatic experiences. 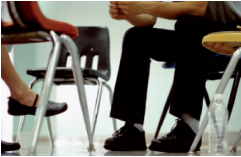 Since the signs and symptoms it addresses are quite intimate and inherently related to a sensitive and difficult subject, in order to respect the person’s privacy it is necessary for the interviewer to stick to the framework of the Questionnaire and to avoid going into the details of the traumatic experiences. What is the exact meaning of the word “often” used in most of the questions ? It means that the event occurs at a higher frequency than what is considered usual by the person, and thus causes a suffering. How will the asylum seeker feel about the Questionnaire ? Depending on their past experiences, country of origin and present psychological state, some questions may be difficult to answer. Feelings of shame, grief or mistrust may arise. In that case, nonmedical interviewers should not probe for additional information but rather refer the person to health professionals. Nevertheless, the Questionnaire raises awareness and enables the asylum seeker to verbalize and quantify symptoms that were previously explained not possible to express and comprehend. It can help the person to create a link between different symptoms, their origin and their consequences. It also may shed to light former complaints and problems that previously caused confusion and misunderstandings. Many survivors find it hard to talk about their traumatic experiences. The interviewer can emphasize the belief that seeking help can ease suffering, and that even if it’s not possible for the victim to speak at the moment about what happened, there will always be a possibility to do so later. Although handling the outburst or grief of a traumatized person is generally the task of a specialist psychiatrist, psychologist, medical doctor, etc. ), in some cases there is need for immediate action. The most basic rule is to remain calm and controlled and not to allow the feelings and behavior of the other person to affect how you react. This can have a calming effect in itself. Secondly, it is important to maintain a respectful and empathic attitude, and ask if there is any way in which you can be of the person’s assistance (e.g. bring a glass of water, let the person stay in the room until he/she stops feeling upset, call in a family member, allow for a short break, etc.). If the situation is beyond your own capabilities and qualifications, it is necessary to call for professional assistance. What is the purpose of the “Further Observations” box ? In this box the interviewer can write down any relevant remark, but the interviewer should not give an interpretation of the findings. All remarks have to be factual. They will be useful for any health professional who will handle the case later, and it improves the efficiency of the procedure. These observations must be shared with the asylum seeker. Asylum seeker’s behavior: cries a lot, doesn’t react, does not pay attention, etc. Problems concerning the questions: difficulty with wording of questions, confusion, failure to understand the questions, translation issues, etc. Special circumstances under which the Questionnaire was administered: delay after arrival, second time, etc. Other information or reactions which may be important / relevant. What should be done if the result of the PQ is positive (medium or strong assumption of psychological suffering) ? In this case referral to further in-depth examination (medical and psychological)is required to determine the health state, the degree of dramatization, and treatment indications. If examination and treatment is not offered by the same organization and/or professional, follow the standard procedure of your asylum reception system. Examination and therapeutic treatment can never be compulsory. It can only be advised and offered to the asylum seeker who has a right to decide by him/herself whether or not he/she accepts this referral. Some patients are resilient and/or use other resources (family, religion, community, etc.) to overcome their difficulties. It is necessary for a professional to understand the specific therapeutic needs of each individual and suggest an appropriate treatment. There is no universal solution. How should the notion of therapy be approached with foreign persons who are not familiar with it and/or with persons who don’t want to engage in a treatment ? It is necessary to pay special attention to the wording that is used and avoid any hint at mental disorders. For many victims of traumatic experiences the idea of “madness” is terrifying and may result in further distress, shame and noncompliance. It may be useful to explain that establishing a medical link between a traumatic experience and the subsequent signs and symptoms allows the asylum seeker to have a better understanding of his/her sufferings and helps him/her to foresee a path to healing and recovery. The patient must understand that treatment is available constantly and that he/she can decide the timing at which treatment seems appropriate. Does the asylum seeker always perceive therapeutic treatment as being positive ? No, as it can be very painful to talk about traumatic events. It may happen that the asylum seeker wants to stop the treatment or take a break. It is necessary to respect the asylum seeker’s privacy and the right to silence. Do not be too demanding about necessary actions that the person should undertake. Be respectful to the path of recovery the person chooses. What should the interviewer do when no treatment is available in the current situation ? If there is no treatment available after the PQ assessment, the asylum seeker will rightfully feel frustrated and mislead, and the interviewer may also have doubts about the significance of the tool. However, there are benefits of the screening, which should be communicated to the asylum seeker nevertheless. First of all it is important to reassure the person that the completion of the Questionnaire raises awareness about their individual need for treatment. This ought to facilitate the arrangement for further treatment. Second of all, there are immediate actions that can be taken : the results of the Questionnaire should be reported to the persons responsible for reception (e.g. legal representative, social workers, immigrant and detention authorities, medical staff). This may influence reception conditions, health care, and the legal process. What are the consequences of a “low risk” rating ? There are some risks, which have to be taken into consideration concerning the early identification process. In some cases trauma could not be revealed immediately after arrival because it is well known that shame and keeping silent about symptoms of dramatization exists among asylum seekers. It is important to be aware of the existence of late onset symptoms of psychological problems related to trauma and vulnerability. person’s refugee story. This points out at the importance of instructing the authorities on how to implement this instrument. How can the interviewer deal with feelings of helplessness related to the asylum seeker (e.g. if the person refuses a treatment) ? It is always difficult to witness suffering without being able to relieve it. However it is important to be aware of personal and professional boundaries and accept limitations in one’s capacity to help. In the case of torture victims, it is essential to leave them the freedom to make their own decisions in order to avoid reproducing any perpetrator-victim dynamics. Can the interviewer ease the suffering without being a therapist ? Yes, having an attitude that is respectful, consistent, genuine and empathic can be therapeutic in and of itself. How do organisations benefit from this Questionnaire ? The Questionnaire provides organizations with a tool that identifies psychological suffering and that facilitates a relevant and sensitive identification of torture victims in particular, even if there is no therapeutic treatment available. A greater awareness about the suffering and the vulnerability of the asylum seekers. Suggestions regarding further referrals for vulnerable persons. Awareness about the possibilities for adaptations of the reception conditions and of the asylum procedures.